Using a stationary drill press to maneuver large pieces of steel into position can be cumbersome and time-consuming. Fortunately, there are specialized power tools for these kinds of situations – the magnetic (mag) drills. These powerful tools are used for drilling holes in all sorts of metallic materials and are highly portable, allowing one to easily transport them from one job site to another. Today, we’ll be taking a closer look at a mag drill made by Jancy Engineering Company (JEC), called Jancy JHM Short Slugger. It allows powerful and precise drilling, as it delivers consistent torque and has a 430-watt output. In the following paragraphs, we’ll analyze the power, accuracy, ease of operation, and durability of this machine, while trying to find all of its advantages and flaws. Those looking for a reasonably priced mag drill should keep on reading – this model just might be the thing you’re looking for! The Jancy Mag Drill is a small but a powerful machine, capable of delivering satisfying results for every task you throw at it. Weighing only 22 pounds, the unit sports a powerful 430W motor that can achieve 1800 pounds of magnetic holding force and 680 RPM of maximum speed. This gives the machine an optimum weight/power ratio for dealing with even the most robust drilling tasks. As you can see from the picture, the Jancy Mag Drill sports a durable housing of orange color. With the dimensions of 14.17″ x 7.68″ x 9.65″ and weight of only 22 pounds, the model is compact enough to allow effortless transportation and use in tight spaces. Its main build material is the solid die-cast aluminum, so you won’t have to worry about mechanical damage. The internal cooling lubrication, on the other hand, is yet another thing that extends the unit’s lifespan. One thing we especially liked is the fact that the three-spoke wheel can be placed on both sides of the drill. As you can already guess, this is yet another feature that makes Jancy Mag Drill an ideal choice for those who often work in enclosed and tight areas. We were also quite pleased with the unit’s mechanical stability, provided by the presence of a stable base, reliable screw connections, and the Weldon shank cutter. The overall design and durability of this magnetic drill are exceptional – we’ve got no complaints about it. The fact that this is a compact mag drill doesn’t have a negative effect on its efficiency. The unit’s 430W motor is more than capable of dealing with the most hardened materials, as it can achieve a no-load speed of 680 RPM and 1,800lbs of magnetic holding force. It provides a 2″ cutting depth and a 1-3/16″ cutting diameter, making it more than suitable for a number of applications. The machine comes with the so-called Smart Magnet Circuitry feature, whose purpose is to prevent injuries caused by drill breakaway. It does this by detecting instances in which a surface is not capable of supporting an adequate magnetic holding power, letting you know about it via the integrated LED indicator. Other things worth mentioning are the concealed wiring, the self-start lock, and an abundance of accessories in the box (safety guard, 5mm hexagon wrench, 2 centering pins, safety strap, chip hook, case, and the coolant tank). The most impressive thing about this magnetic drill is that it’s both compact and efficient – it’s the winning combination. The fact that it’s intended for tougher jobs doesn’t make the drill bulky, as it sports the right dimensions and weight to be easy to transport around and to be used in tight spaces. It has a removable 3-spoke wheel, a concealed motor wiring, and a firm base that inspires confidence in the unit’s stability and reliability during work. The manufacturer has also supplied this machine with a number of safety features, and that’s always a big plus in our book (as is the abundance of handy accessories in the box!). Even though it’s one of the most powerful mag drills in its price category, the JHM Short Slugger can’t really be compared with the more expensive models. They’re more powerful and allow higher productivity and efficiency. We weren’t pleased with the length of the included cable, either – it’s only 13 feet (3.9 meters) long. This will be sufficient for most operations, but we still think that Jancy should have included a longer cable. Just like us, the users were also pleasantly surprised by the low weight and compact size of this mag drill. They’re saying that the machine’s convenient size makes it easy to transport and move around, which is something they’re not used to when it comes to magnetic drills. Other than that, they were satisfied with the number of safety features and the overall ease of operation, stating that JHM Short Slugger is a perfect mag drill for the beginners in the construction business. Extremely compact and highly efficient, the Jancy Mag Drill left us both surprised and impressed. 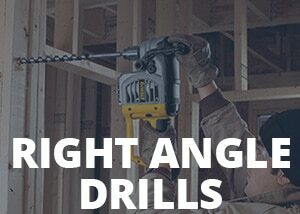 It sports a number of convenient features that make it one of the best magnetic drills in this price category, making it an excellent choice for both beginners and experienced contractors. As such, it’s bound to enjoy immense popularity in the upcoming months. It certainly deserves it.